1 General Intelligence & Reasoning 25 50 75 Min. 100 Min. (Paper-4) General Studies (Finance and Economics). 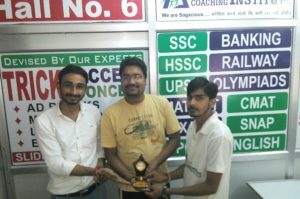 Best ssc coaching in Hisar list, top 10 best :- As date Pre exam of SSC Cgl 2018-2019 is getting closer to us people are looking for best coaching in these cities, Today ACCENT COACHING INSTITUTE HISAR Major city of Haryana i.e Hisar, ssc exam always one of the most popular among students after Graduation.